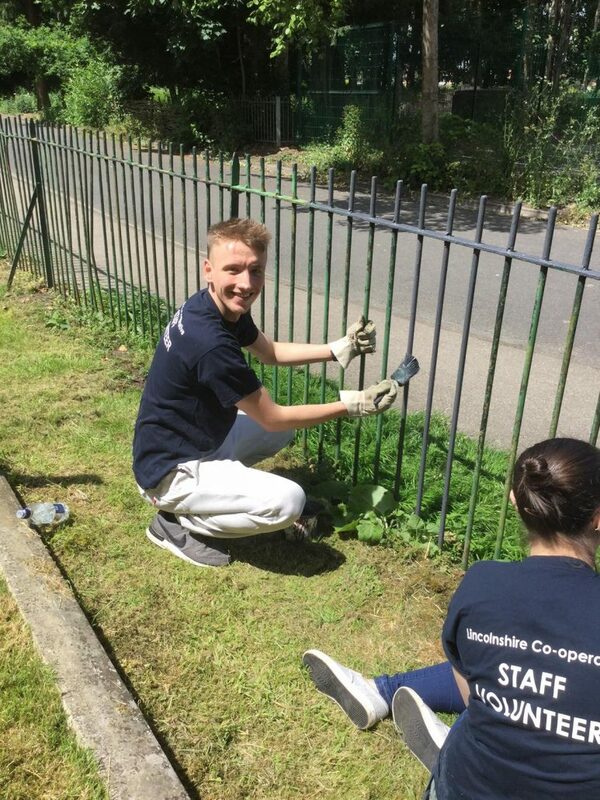 On a sunny day in June we were lucky to have the voluntary manpower from the Co-op, Lincoln. 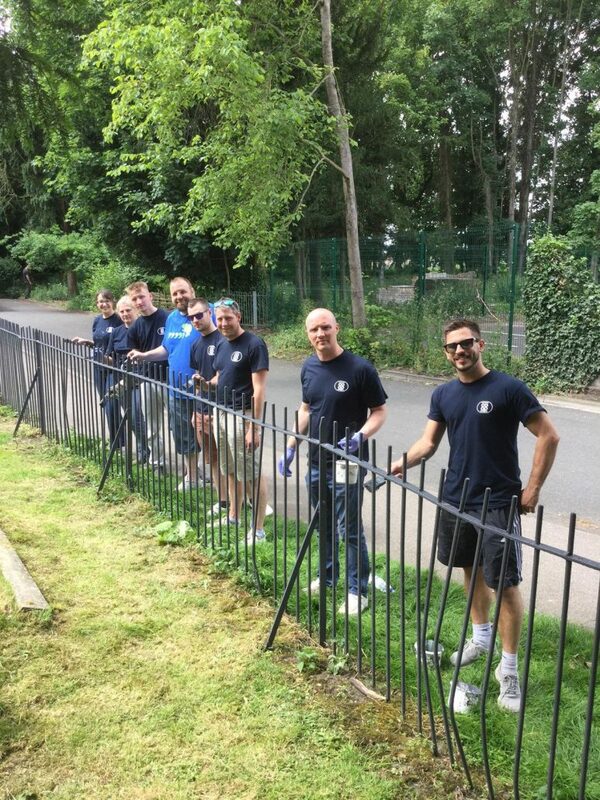 Led by Rachel the Education and Volunteering co-ordinator, the team set about undercoating the St Helens Church railings just by the Hall Drive car park. 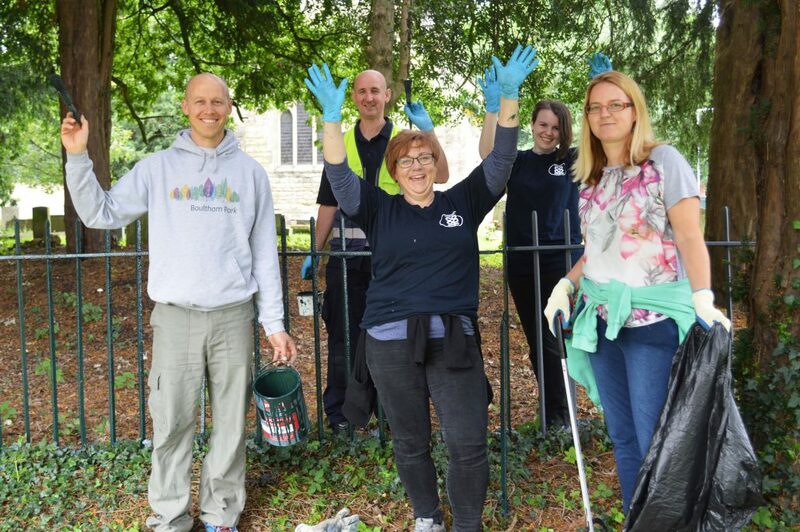 A group of the volunteers also did an excellent job clearing debris from the car park edges. Visually the area looks a lot more presentable and much easier to maintain. It is great to see the local businesses and staff enthusiastically helping out for the benefit of the communities around their stores. We thank everyone involved for their efforts. Not one to let a job go unfinished the Co-op came back with reinforcements in July. 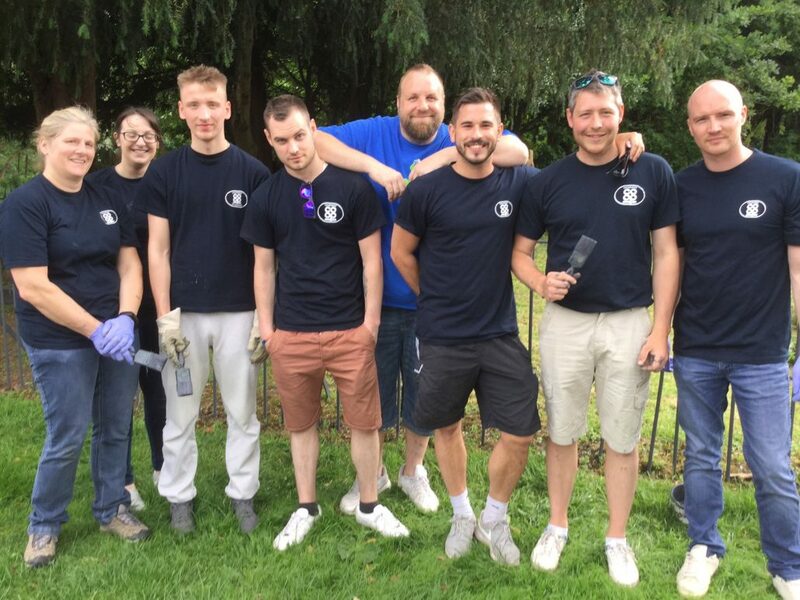 A smaller team of five people completed the top coats on the church and car park railings along with a bonus litter pick around the park as well. Great community effort. Summer Fun Family Activities Be a part of the Memorial Garden !